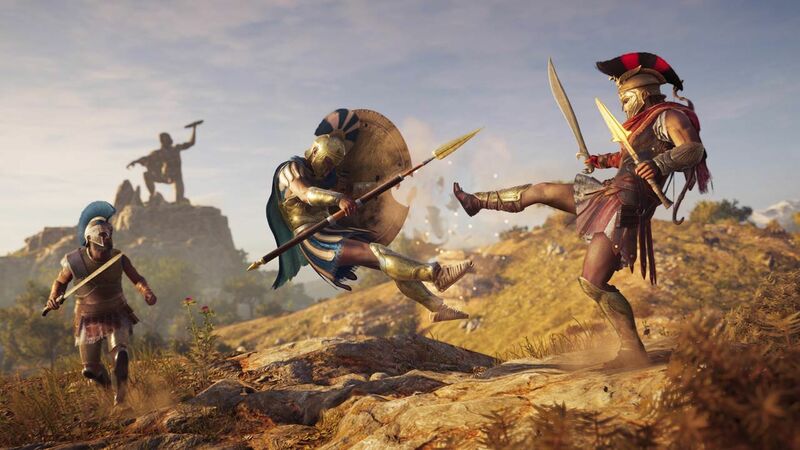 According to GitHyp, a website that tracks player data from Steam and viewer data from Twitch, Assassin’s Creed Odyssey registered a 33% higher concurrent players peak on Steam compared to last year’s Origins. The peak was 62K as you can see below, compared to 41K for Origins. This suggests that Assassin’s Creed Odyssey may be doing well overall, even if physical sales for the launch week went down 26% in the United Kingdom compared to Assassin’s Creed Origins. The game is also sure to have legs since Ubisoft CEO Yves Guillemot confirmed that there won’t be another franchise release in 2019. The developers have therefore laid down a massive post-launch roadmap, between the two expansions and a 4K remaster of Assassin’s Creed III. This is due to be available for Season Pass owners in March 2019, while the expansions will be released in an episodic fashion with a new episode due roughly every six weeks. Legacy of the First Blade will debut in December to recount the story of the first man who wielded the Hidden Blade; the second expansions, titled The Fate of Atlantis, will debut in Spring 2019 and let players discover the myths of the fabled sunken city. Have you been enjoying Assassin’s Creed Odyssey so far? Tell us in the comments.